Welcome to dinner at the Reese’s! Matthew definitely likes to experiment, he thought it’d be great to make these little gems. They were nice because they cooked fast and then when there were leftovers they froze up really nicely and then they reheated well! This dinner is also quick and easy for those of you who are busy as Matt and I! Enjoy! 1. In a small bowl, combine the ingredients for the glaze and set aside. 2. Preheat the oven to 325 degrees. Lightly spray the muffin tin with pam. 3. In a small skillet, on medium high, sauté the onions, celery, and the garlic until onions and celery are tender, about 5 minutes. Set aside. 4. Combine the wet ingredients, eggs, milk, worcestershire sauce, and half of the pre made glaze. 5. In a large mixing bowl, combine ground beef, bread crumbs, onion mixture and wet ingredients. Use your hands to mix quickly and evenly distribute all the ingredients. 6. Put the meat mixture into the prepared muffin tin. Press on the meat mixture down to press into all the corners as well, to make sure it’s a flat surface. 7. 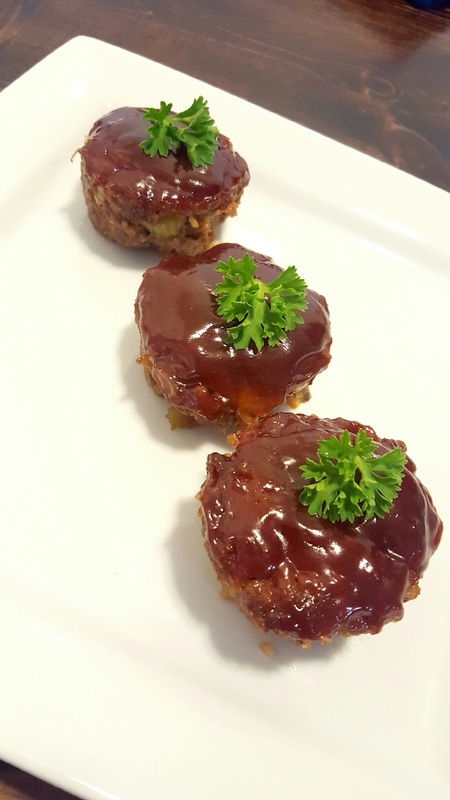 Pour on the remaining glaze on top of the mini meat loafs. 8. Bake in the oven for 45 minutes. This looks really good. 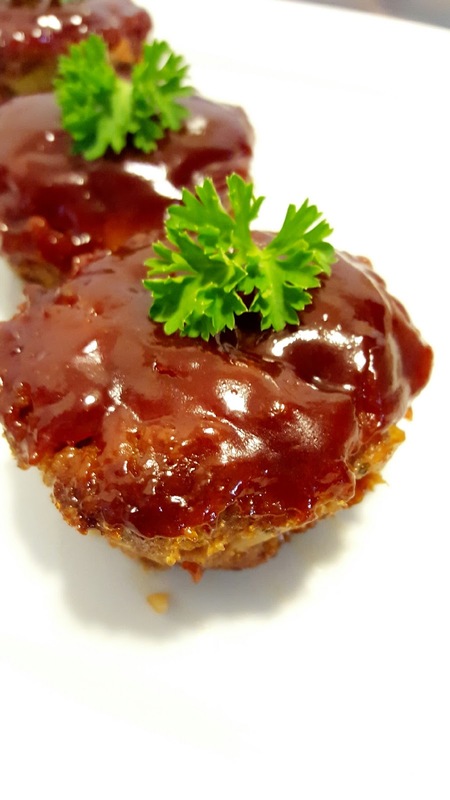 I love meatloaf and this is definitely a recipe I want to try. Thank you for sharing and linking up with us at the Welcome Home Wednesdays Link Party. 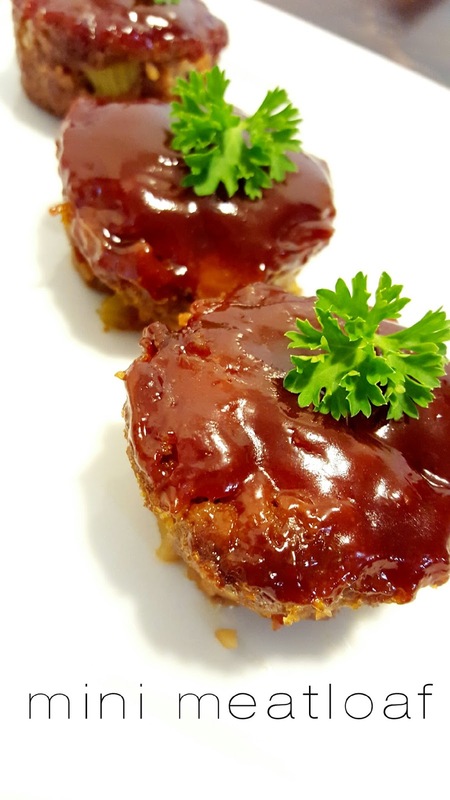 Your mini meatloaves look great – I love individually-portioned food. The glaze sounds really yummy too. Thank you for sharing with us at the Hearth and Soul Hop.